Here come our newly big arcade upright machines. 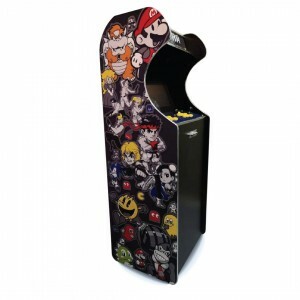 The Arcade Pro 22'' Arcade Machine feature a sleek and stylish design, inspired by the 1980’s gaming machines. They have the look and feel of a classic arcade machine and comes complete with 960 of the most popular games. Perfect fun and entertainment for either the office or home games room. The elegant cabinet and attractive graphics, guaranteed to become the center piece in any room and to make friends and family jealous! Please email us at info@gamesroom.com.my for the list of the games. Free delivery in Klang Valley area only. For other locations please contact us for a shipping quotation before placing your order.